Monitoring phone calls, using caller ID or other number monitoring devises, not allowing them to make or receive phone calls. Not allowing their freedom of choice in terms of clothing styles or hairstyle. This may include forcing the victim to dress a specific way such as more seductively or more conservatively than they are comfortable. Calling or coming home unexpectedly to check up on the victim. This may initially start as what appears to be a loving gesture, but becomes a sign of jealousy or possessiveness. Invading the victim’s privacy by not allowing time and space of their own. Forcing or encouraging their dependency by making the victim believe that they’re incapable of surviving or performing simple tasks without the batterer or on their own. Using the children to control the victim parent by using the children as spies, threatening to kill, hurt or kidnap the children, physical and/or sexual abuse of the children, and threats to call Department of Child Safety (DCS, formerly CPS) if the victim parent leaves the relationship. Forcible physical restraint against the victim’s will, being trapped in a room or having the exit blocked, being held down. The batterer hitting or kicking walls, doors, or other inanimate objects during an argument, throwing things in anger,destruction of property. Threatening or accusing, either directly or indirectly, with intention to cause emotional or physical harm or loss. For instance, threatening to kill the victim or themselves, or both. Using reality distorting statements or behaviors that create confusion and insecurity in the victim like saying one thing and doing another, stating untrue facts as truth, and neglecting to follow through on stated intentions. This can include denying the abuse occurred and/or telling the victim they are making up the abuse. It might also include crazy making behaviors like hiding the victim’s keys and berating them for losing them. Telling the victim that she is mentally unstable or incompetent. Not allowing the victim to practice their religious beliefs, isolating the victim from the religious community, or using religion as an excuse for abuse. Isolation: Isolation is a form of abuse often closely connected to controlling behaviors. It is not an isolated behavior, but the outcome of many kinds of abusive behaviors. By keeping the victim from seeing who they wants to see, doing what they want to do, setting and meeting goals, and controlling how the victim thinks and feels, the abuser is isolating the victim from the resources (personal and public) which may help the victim leave the relationship. By keeping the victim socially isolated, the batterer is keeping the victim from contact with the world which might not reinforce the abuser’s perceptions and beliefs. Isolation often begins as an expression of his love for the victim with statements like “if you really loved me, you would want to spend time with me, not your family”. As it progresses, the isolation expands, limiting or excluding the victim’s contact with anyone but the batterer. Eventually, the victim is left totally alone and without the internal and external resources to change their life. Some victims isolate themselves from existing resources and support systems because of the shame of bruises or other injuries, the abuser’s behavior in public, or the abuser’s treatment of friends or family. Self-isolation may also develop from fear of public humiliation or from fear of harm to herself or others. The victim may also feel guilty for the abuser’s behavior, the condition of the relationship, or a myriad of other reasons, depending on the messages received from the abuser. Threatening to hurt or kill the victim or their children, family, pets, property or reputation. Telling victim they are unattractive or undesirable. Using Male Privilege: As long as we as a culture accept the principle and privilege of male dominance, men will continue to be abusive. As long as we as a culture accept and tolerate violence against women, men will continue to be abusive. Economic Abuse: Financial abuse is a way to control the victim through manipulation of economic resources. Controlling the family income and either not allowing the victim access to money or rigidly limiting their access to family funds. This may also include keeping financial secrets or hidden accounts, putting the victim on an allowance or allowing the victim no say in how money is spent, or making the victim turn their paycheck over to the abuser. Causing the victim to lose a job or preventing them from taking a job. The abuser can make the victim lose their job by making them late for work, refusing to provide transportation to work, or by calling/harassing/calling the victim at work. Material from Women’s Center and Shelter of Greater Pittsburgh Volunteer Training Manual, AMEND, and the ACESDV safety plan manual were used to develop this section. Please be aware that a stalking situation may never be resolved to the victim’s satisfaction or to the satisfaction of the suspect. Also, not all the suggestions presented will be appropriate or feasible for all situations — each case is to be analyzed individually, as not any two relationships are the same. The victim is related to the defendant or the defendant’s spouse by blood or court order as a parent, grandparent, child, grandchild, brother or sister or by marriage as a parent-in-law, grandparent-in-law, stepchild, step-grandchild, brother-in-law or sister-in-law. The victim is a child who resides or has resides in the same household as the defendant and is related by blood to a former spouse of the defendant or to a person who resides or has resides in the same household as the defendant. – The intent is to control the victims time and isolate them from their support system of family and friends who might question the abusers actions. For example, the abuser might refuse to have telephone service or reliable transportation, monitor the victims email, or make the family change residences frequently. – The abuser might constantly criticize the victim’s family and friends or harass the victim so much that it is easier for the victim to simply cut off contact with family and friends. This maybe done by using coercion, threats or force. – A victim might believe what their abuser says because they are so isolated they have no access to information that might contradict the abuser. -The abuser might punish the children as a way to hurt the victim. -The abuser might sexually abuse the children or force them to watch the abuse of the victim. -They might use the children to spy or report on the victims activities. -They might threaten to kidnap or kill the children if she leaves him. -The abuser could gain legal custody, just take the children, or use custody and visitation arrangements to harass or harm her. -The abuser might follow, threaten, harass and terrify his partner or ex-partner, especially after they have left or separated. -The abuser might monitor the victim’s whereabouts, daily activities, phone conversations or email to prove to the victim that they cannot conceal anything from them. 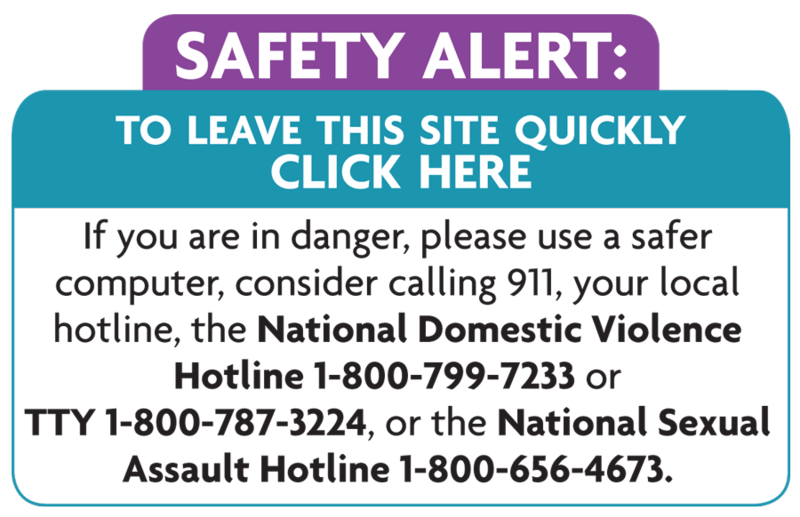 -An abuser may monitor phone calls, using caller ID or other number monitoring devises, or not allow the victim to make or receive phone calls. -They might check the mileage on the odometer following the victims use of the car. -Not allowing the victim freedom of choice in terms of clothing styles, makeup or hairstyle. This may include forcing the victim to dress more seductively or more conservatively than they are comfortable. There are as many reasons that people stay in abusive relationships. Domestic and/or sexual violence survivors stay in their relationships for all the same reasons anyone stays in a relationship. The relationship is complicated by multiple factors. A discussion of those factors is below. These factors are more accurately viewed as barriers to leaving. Dependency: This should not be confused for co-dependency. When survivors are out of their abusive relationships, she may be financially, emotionally, or socially dependent on the abuser. Their social status and sense of self may depend on continuing the relationship. The abuser’s income producing capabilities may exceed the victim’s. Even if it does not appear to be the case, some survivors believe they will not be able to exist without their abusive partner. Fear: The abuser may have threatened to hurt or kill the victim, the children, family members, friends, or others if they leave the person who chooses to abuse. The abuser may have also threatened suicide or murder-suicide. Because there has been a history of physical violence, the victim may believe their abuser is capable of following through on these threats. Isolation: Often the victim will have limited contact with the outside world because of the abuser’s isolating abuse. Embarrassment over bruises and/or threats from the abuser keeps the victim from connecting with friends and family. The perpetrator may regularly cause scenes in public or at family gatherings. The isolation may extend to the victim not being allowed to use the phone or the mail to contact their family and friends without fear of further abuse.